Slowly getting back together! The fan/spacer was a real pain to get back on, really don't want to do this job again anytime soon!! The outer exhaust studs are damaged, so I'll need to order those! Had my 1st go at setting the valve clearances too, hopefully I got it right! Finally managed to get her back together and alive just in time for a show tomorrow! Biggest problem I had was getting her to actually start again, I couldn't figure it out or a while! Thanks to the wonders of Facebook I was able to establish that I messed the valve clearances up. After having another shot at setting them she fired up really quickly and seems much happier than before. I've swapped the alloy rocker cover as it really didn't suit the car, although this one is a bit tatty! Think I'll try get hold of one in good condition over winter. 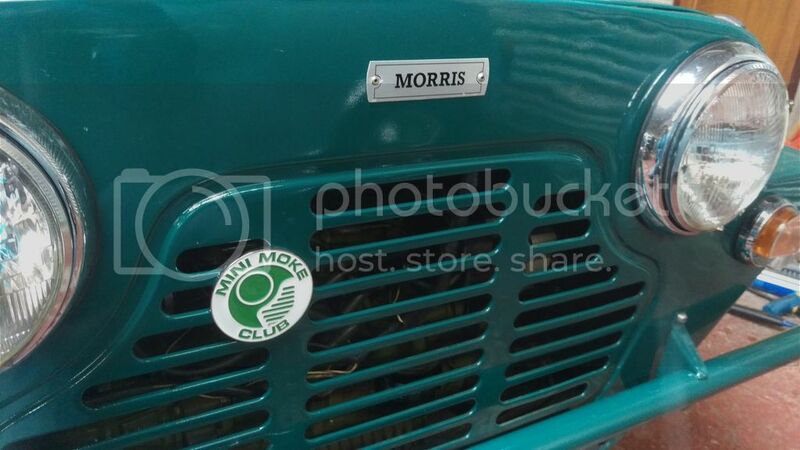 Final good news for the Moke, I've just ordered her a new Club grill badge as a present! 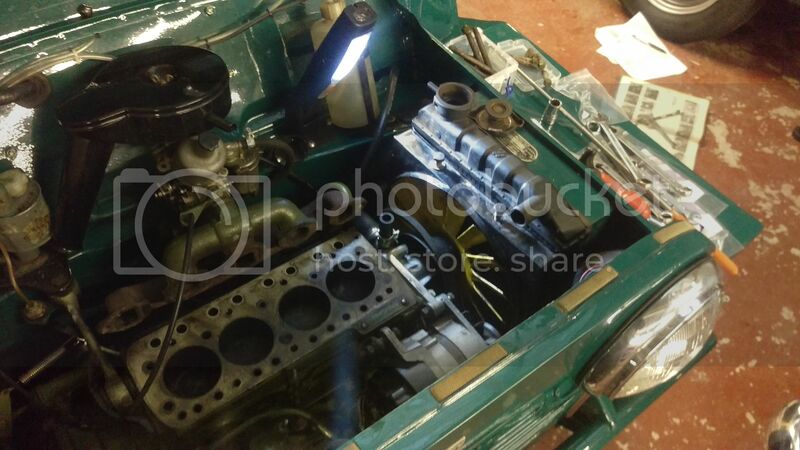 I've not touched the Moke since I last drove her in October, choosing to stay inside working on cleaning up & painting the rear subframe & heater for my Pick-Up which is currently away having it's body work sorted! 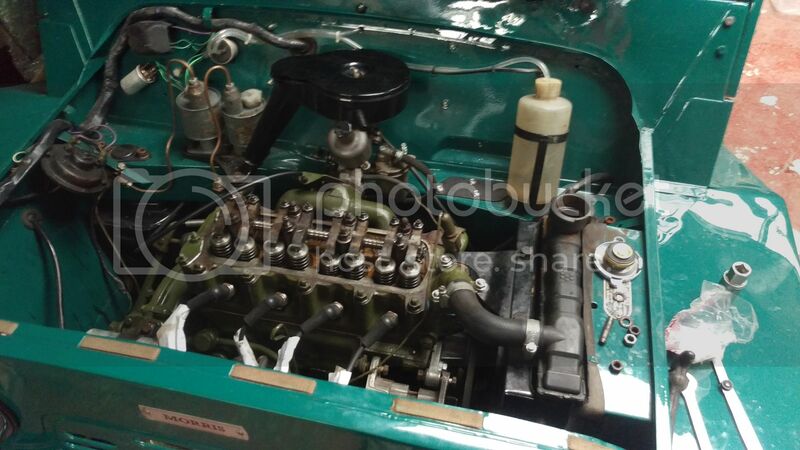 However today I decided the Moke & Austin needed some love sending their way, I've changed the oil on my Austin and started to look at how I'm going to fit the oil pressure/watertemperature gauge I've got for the Moke. It seemed a sensible precaution after my overheating woes this summer and a desire to get the Moke to a few runs/meets further afield! I think I'll find a way to hang it off the bottom of the binnacle so it's easy to remove and go back to standard. This is also going to give me a chance to investigate why my speedo has stoped working! On a more positive note, I got my grill badge fitted! 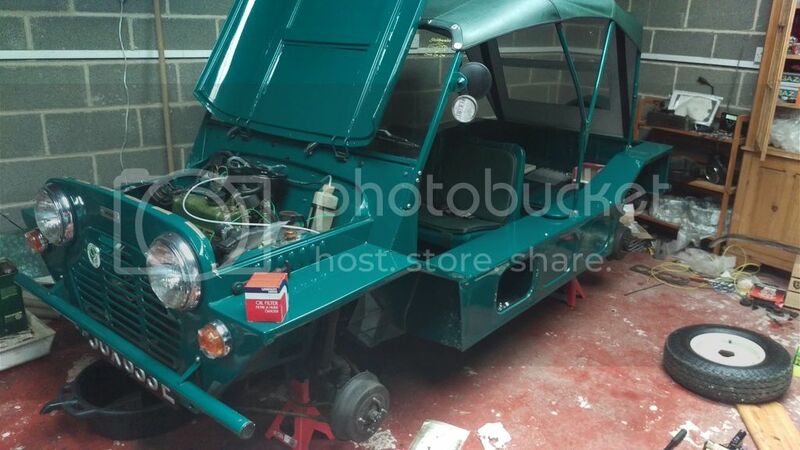 The Moke has been taking a back seat until yesterday, as my focus has been on getting the subframes for my Pick-Up sorted. Last summer I had some issues with overheating, so one thing I wanted to sort was a temperature gauge to help me keep an eye on this. Although the she stopped boiling over after a good clean out of the block and new water pump she's still losing a bit of water every time I drive her, does anyone have any idea what's causing this? 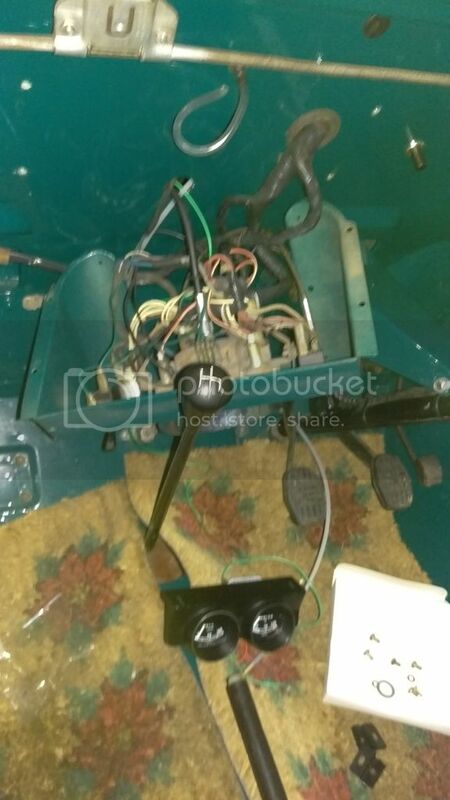 I wasn't sure how I was going to mount the pod, however as a temporary measure I've used a couple of the springs that hold the seat base/backs in place to hang it under the instrument cluster. It seems to hang there quite well and is nicely viable from the driers seat. 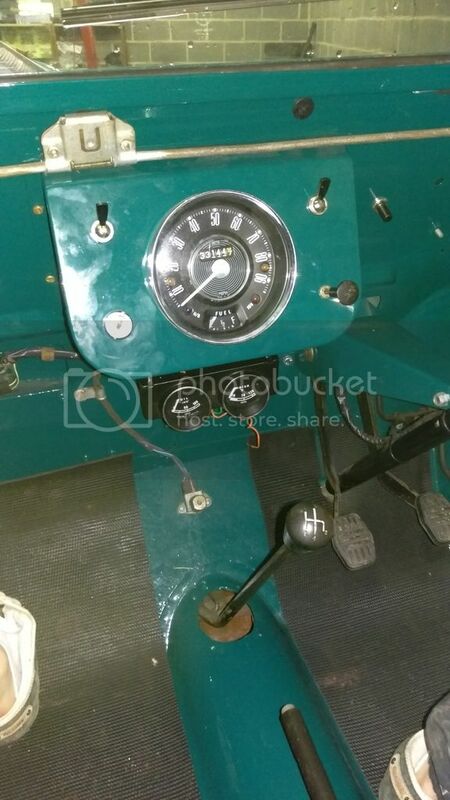 The gauge is now wired in, only the wire for the bulb needs sorting and the oil pressure gauge needs connecting on the engine end. Some rubber mats also arrived in order to replace the terrible door mats that had been looking after the front foot wells since I first bought the car. I'm looking forward to summer now and just wish it would hurry up and arrive! The National in Yorkshire isn't too far from me, think I'm going to get myself booked on there. 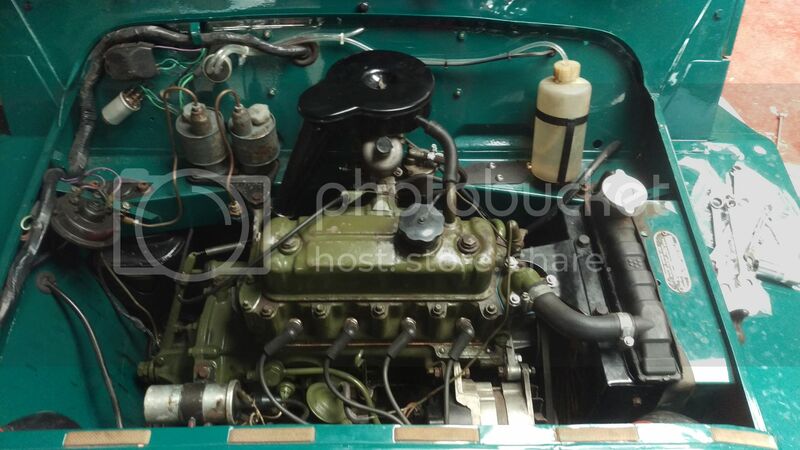 The motivation for working on the Moke is flowing at the moment, 2nd time in under a week I've spent time on it! The MOT expired in November and she's needed an oil change since then too, so today I decided to get going. She's up on axle stands so I can check over all the rubber and the oil is drained. I'm also thinking I'll change the shocks while I've got her up on stands, I've got a set of Sprax adjustable rear shocks ones waiting around for another car (however progress is currently non existent on that one), so I'll get some fronts ordered and fit the set. I ran out of time so currently haven't got filled the oil back up yet. I'm also fitting an oil pressure gauge (see previous post), does it matter if she's filled up with oil or not when I do this? I'm missing one part of the fitting it for it. 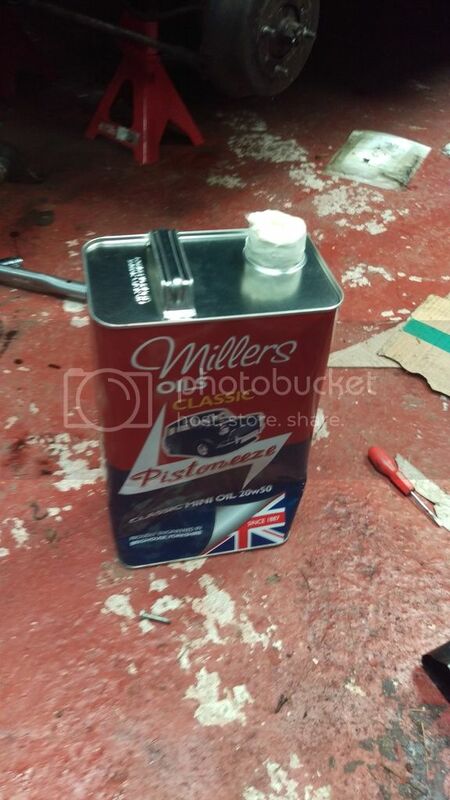 Nice can of oil sat waiting to go in the car... it is infuriating the stuff is produced about 10 minutes away however I have to get it online as they don't seem to sell any directly from the factory. With any luck I'll finish the oil change on Friday and she will be MOT ready very soon. Thanks, I've a little time tomorrow so I'll get filled up! 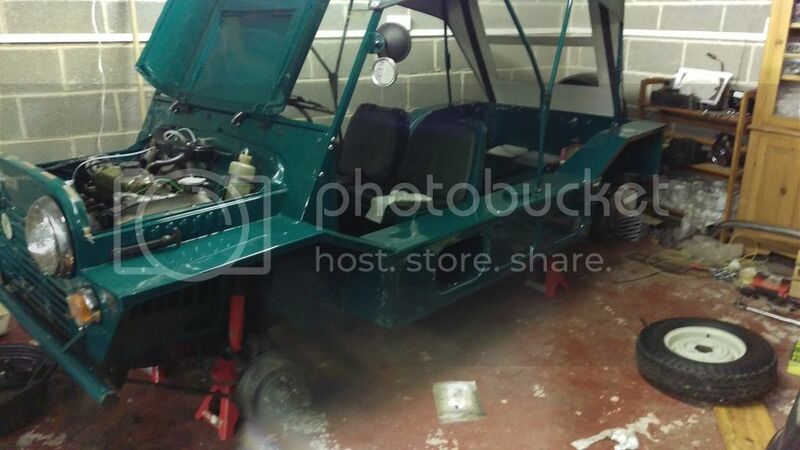 Work has continued to progress with the Moke. 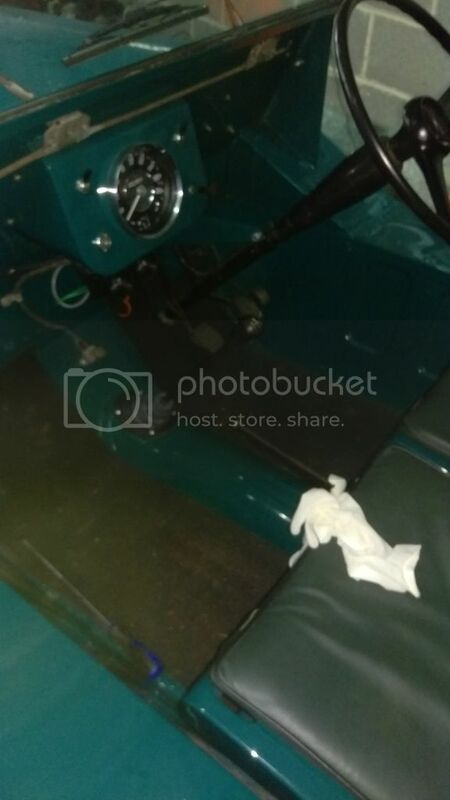 The shocks have now been changed for a set of Spax adjustable ones, the oil pressure gauge is plumbed in, gear leaver gaiter has been changed and all the rubbers checked over underneath for her MOT. I just need to grease everything up, get the wheels back on and she's MOT ready I hope. Sadly failed her MOT today, most infuriating is it was the rear lights that didn't work. They did last week! Hopefully a simple fix. That reminds me mine is due for testing next month. I much check the indicators etc. Well since failing her MOT due to the rear lights everything Moke related has been infuriating! The lights were tracked down to a dirty connection which was easy to sort.... re-test booked. So the morning of the re-test started the car up, running awfully! Sounded like an old tractor. No re-test! Since then, head pulled again (oil in the water! 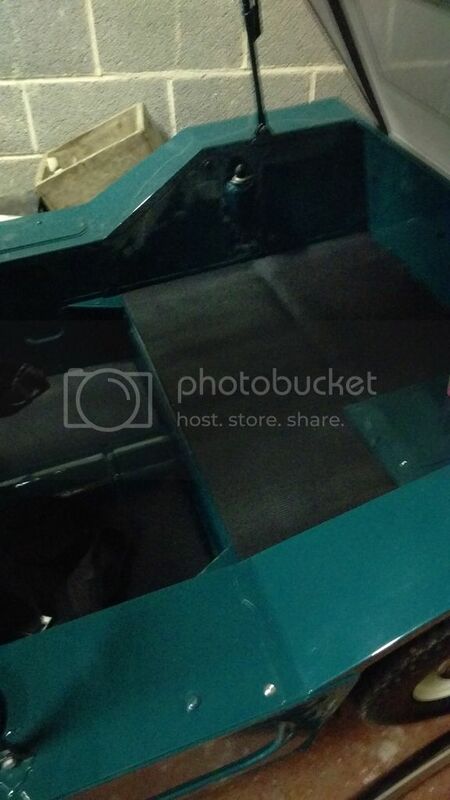 ), it's has a very light skim and a couple of valves sorting. Cooling system flushed out and oil drained and changed. The head bolts that came off weren't in the best shape so I chose to order some new ones. Fitting everything together today, torquing the 8th new head bolt up.... it's snapped! To say I'm hacked off about this is an understatement! I had to walk away before I damaged something. Looks like it's coming apart again. At this rate I'll be taking something different to the National Rally. Sitting on edge of my seat awaiting update. Still trying to find my old one Reg AOT318C. DVLA says it SORN'd so it might be around somewhere.